Production company based in the Highlands, offering various services in video production from weddings to corporate and large events. Production company based in the Highlands offering various services in video production. We are located in Inverness but are always happy to travel. We have experience in various areas of production. We are currently building a profile as one of the best wedding videographers. We also offer video services to companies looking to increase their presence in the market place through advertising as well creating any in house video needed for training purposes. No matter what you are looking for we are always happy to discuss new projects. 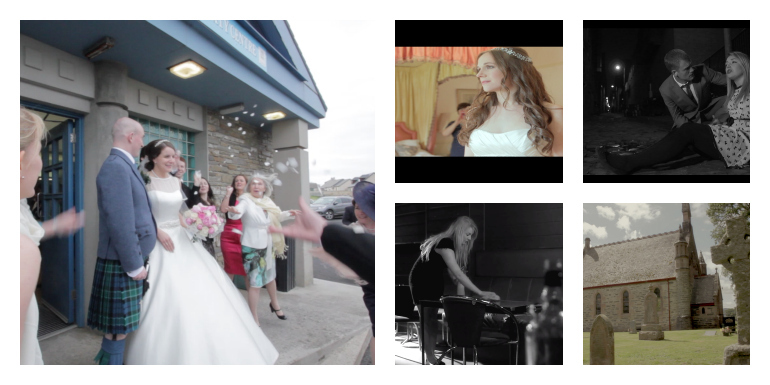 We have filmed various weddings across Scotland from Glasgow to Orkney. We offer a range of different packages to suit everyones budget. Our aim is to deliver the best wedding videos using professional equipment that will capture your special day with a cinematic look and feel that you can show off to your friends and family. A wealth of experience in all areas of productions in short dramas. We have Andrew Crane, a director who was nominated for RTS (Royal Television Society) award in 2013 for his work on “Unnoticed”. We are always keen to get involved in new productions. We have team members who have worked at events large and small, from sporting events to music festivals. We can also provide a service to businesses in all sectors who wish to create something for advertising or training purposes.